Gain access to the key insights from thousands of bestselling business books with time-saving summaries. 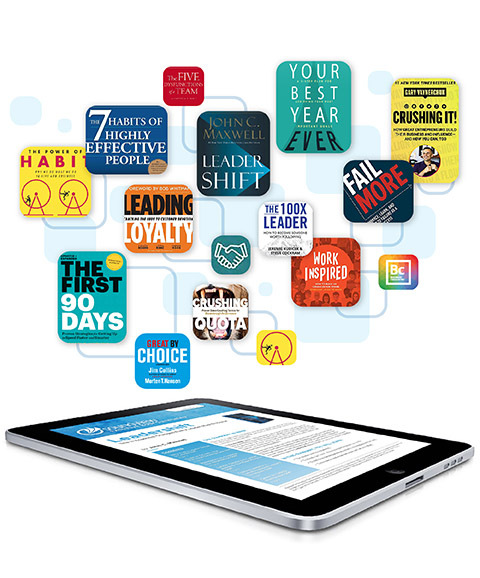 Soundview gives you key insights from top business authors by summarizing their books into 20-minute text and audio, as well as utilizing their expertise in webinars, newsletters, and more! Learn something new today with unlimited access to the best minds in business. Soundview offers teams, and organizations of any size, the training elements to create a more skilled and knowledgeable workforce. Our corporate solution of executive book summaries, author webinars, and other valuable video content aims to help your company promote new business strategies, enhance leadership skills, improve HR management practices and more!